Good to know if you like to keep things neat and tidy. 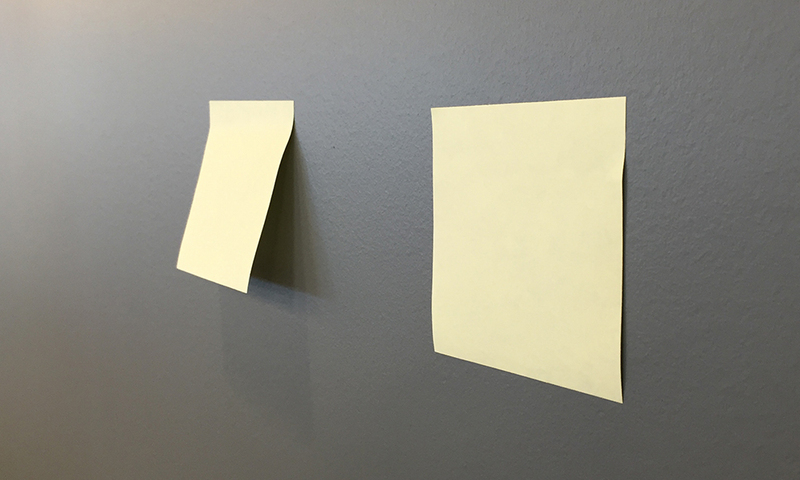 From leaving a reminder for the kids or your spouse, to keeping track of ideas at the office, sticky notes are used throughout many aspects of our lives. 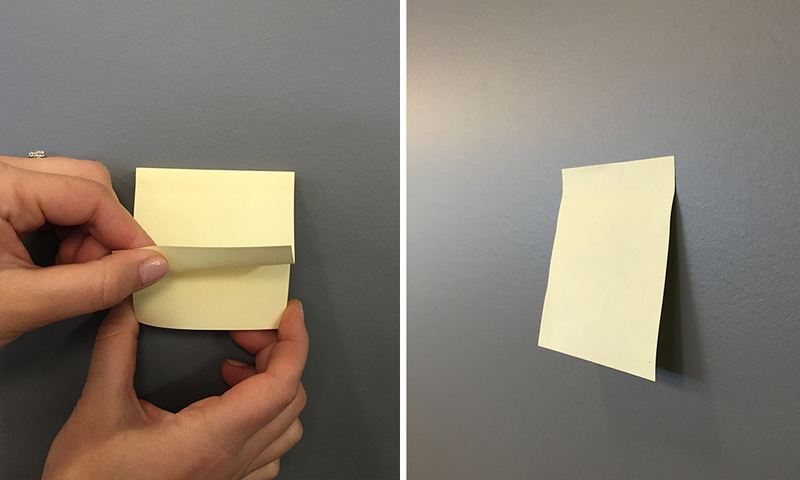 However, have you noticed that big gap between the note and the wall? Have no fear, there is a solution to the problem. First, you are likely using them the wrong way and that’s what is causing the gap. You are pulling from the bottom up. Tisk tisk. According to blogger, Mark Schapendonk, this is not the proper way to use them. 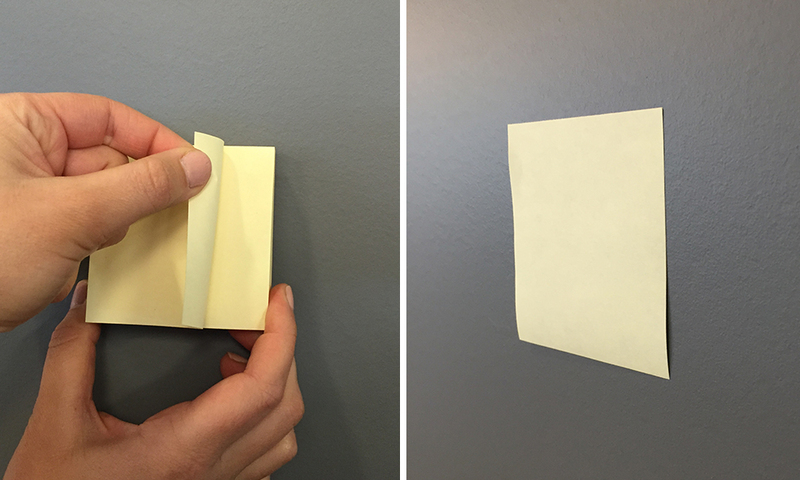 You should pull the sticky note from the side, not the bottom. 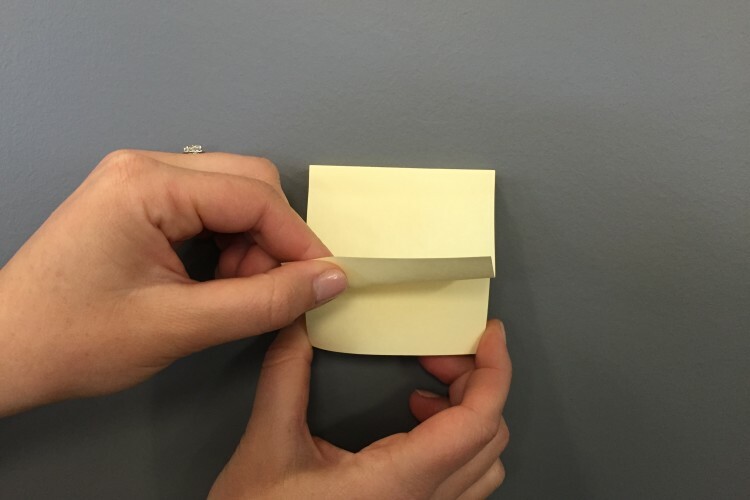 To have the sticky note lay flush to the wall, simply start at a top-corner and then peel horizontally across when pulling one from the stack.